Yarn dyeing is a special type of dyeing process. This dyeing process is slightly difference from woven or knit dyeing. Dyed yarns are used for making stripe knit or woven fabrics or solid dyed yarn fabric or in sweater manufacturing. 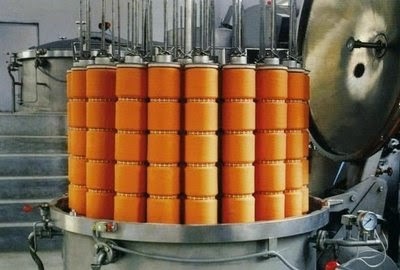 Yarn can dye in two form, package or hank form. Flowchart of yarn dyeing can be divided into three stages. Preparatory process, Dyeing and After-treatment process.